Aspiring young violinist Amaryn Olmeda, age 10, began playing the violin at 4 years old in the Suzuki studio of Mrs. Kate Homer, continuing studies with Mr. William Barbini in Davis, California. She currently studies with Ms. Fabiola Kim at the Colburn School of Music in Los Angeles. Amaryn made her performance debut at the Colorado Suzuki Strings Institute in Beaver Colorado at the age of 6. Since then, she has been a soloist with the Merced Symphony, Auburn Symphony, Music in the Mountains Orchestra, MIM Youth Orchestra, Sacramento Youth Symphony Academic Orchestra, and soloist with the Sacramento Youth Symphony Premier Orchestra on their European Performance Tour of Slovakia, Czech Republic, and Hungary. Amaryn has won numerous competitions, including the Auburn Symphony Young Artists Competition, Music in the Mountains Young Musicians Competition, Classical Music Masters at the Harris Center for the Performing Arts, Pacific Musical Society Competition in San Francisco, Sacramento Youth Symphony Academic Orchestra Concerto Competition, the 2017 Sacramento Section and the 2018 California State Solo Competition of the American String Teachers Association, Merced Symphony Young Artist Competition, the Diablo Valley and Holy Names College Competition, the Bach Award at the United States International Music Competition at Stanford University, and the 2018 Solano Symphony Young Artist Competition. Amaryn enjoys bringing music to her community by caroling on her violin for house-bound church members and at nursing homes. She especially enjoys participating in school tour performances with orchestras, including the Sacramento Youth Symphony, Auburn Symphony, and the Oakland Symphony, where she has performed as a soloist for hundreds of her peers in Northern California. She has also performed at the Davis Community Church Weekly Luncheons for the Homeless, the Children for Children Showcase Concert to benefit Child Advocates of Nevada County, Keaton Raphael Child Cancer Organization, as a soloist with the Sacramento Chamber Music Workshop nursing home tours, and at the End of Watch Benefit, honoring fallen police officers of Sacramento. 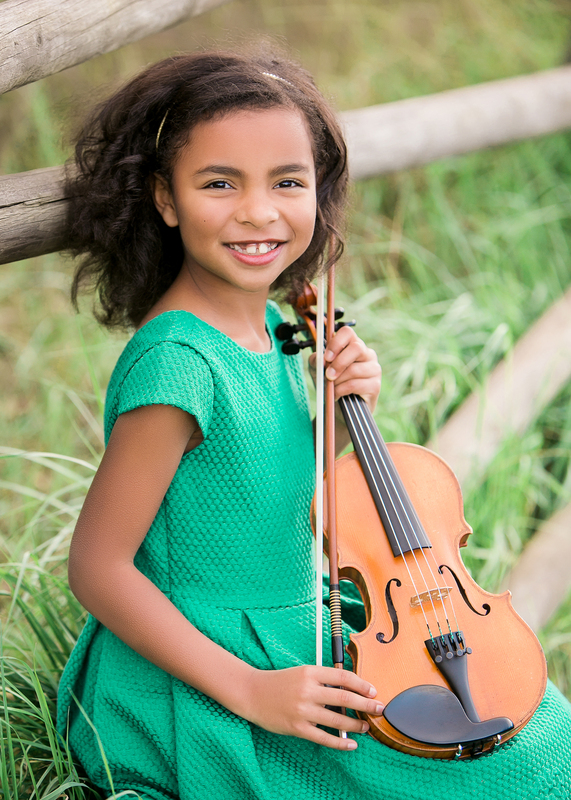 In addition to violin, Amaryn loves playing chamber music, composing, attending ballet and art classes, collecting American Girl Dolls, reading, knitting, and sewing. She homeschools on her family’s hobby farm in Loomis, California, where she enjoys caring for animals and family gardening.